THE # 1 MOST RECOMMENDED BOOK TO READ IN 2015 FOR ADULTS BY TODAY SHOW VIEWERS! Looking for a new book to read this year? Look no further! The TODAY show asked viewers to hashtag in their must-reads for 2015 and The Choice came in as the #1 most recommended novel for adults! Get your copy today and see what the rest of the country is talking about! 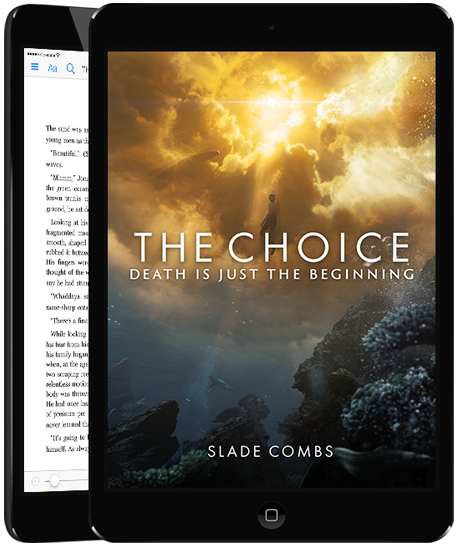 The Choice: Death Is Just The Beginning follows a young man named Jonas as he enters the afterlife only to learn that in order to get to heaven, he must face a fear far worse than death. 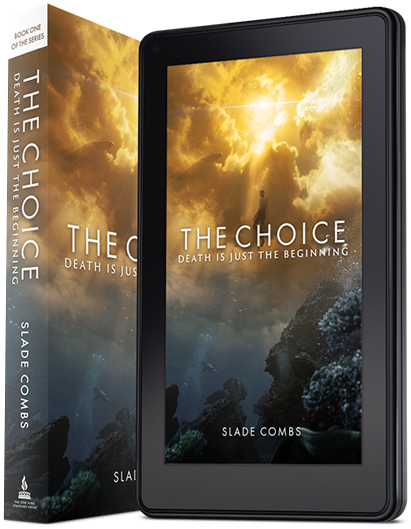 Gripping, suspenseful, beautiful and poignant, The Choice is a novel about the meaning of life from the perspective that only death can provide. ...a mix between The DaVinci Code and The Lovely Bones...a real page-turner. ...accept the author's invitation to explore the beyond and you will begin an experience that is extraordinary. Little did Jonas know, in order to get to heaven, he would need to find the courage to walk through hell first. The Choice is a novel that takes us through some of our worst fears in order to find a beauty and hope that transcends even the most heart wrenching pain. Cross over to the other side and explore the meaning of life from the perspective that only death can provide. The Choice takes readers on an exciting, otherworldly voyage through the portals of death and into the afterlife. But the novel is actually steeped in real science—involving hidden dimensions and invisible matter—realities that are just now being uncovered in top research facilities like CERN. From the physical composition of spirits, to the way in which they speak and travel, The Choice explores the implications of the latest discoveries coming from top physicists all around the world. Sometimes the facts are even more intriguing than the fiction. While The Choice is set in the afterlife, it is not a religious novel—though the history of religion pervades its pages. From the Torah to the Qur’an, to the Old and New Testaments—The Choice takes readers on an enlightening expedition to understand just what has been taught about the afterlife through the ages—including an ancient doctrine that was so threatening, an entire empire murdered its own citizens and excommunicated its religious adherents in order to keep it a secret. The anathema against the doctrine is still in effect today. What do The Hunger Games, Harry Potter, Spider-Man and I Am Legend all have in common? Ivo Horvat, Hollywood visual effects artist. After reading The Choice, Ivo lent his creative vision to bring the unseen world into view. Download your favorite artwork today! Interested in checking out The Choice on Pinterest? Click the button below to access exclusive content like quote cards, posters, phone backgrounds and more! HOW MUCH DO YOU KNOW ABOUT DEATH? How many people die each year? What are the Seven Deadly Sins? What is the deepest circle in Hell in Dante’s Inferno? What causes more deaths—airplane accidents or falling off of furniture? Learn the answers to these questions and many more by visiting Goodreads and taking the HOW MUCH DO YOU KNOW ABOUT DEATH quiz. And don’t forget to add The Choice to your shelf while you’re there! Slade lives with his wife and two sons in New York City. If you like The Choice, there’s even more to love on Facebook. Get the latest updates, news, and exclusive content found nowhere else! Whether you prefer swiping pages on a device, or flipping through them with your fingertips, The Choice has you covered. Choose your favorite format (eBook or paperback) and prepare to enter the afterlife! If you would like to make a media request (author interviews, photographs, specialized media, etc.) please fill out this Media Request Form. Be sure to include a link to your blog/column/work in order to ensure a response. And thank you for your interest in The Choice.